On October 25, carb lovers from around the world will unite to do some Lady and the Tramp-style pasta slurping on World Pasta Day. You can celebrate this delicious holiday by chowing down on the classics—spaghetti, fettuccine, elbow macaroni, and lasagna (which is both the name of the pasta shape and the moniker for the delicious layered dish)—but why not use such a special day to expand your pasta-loving range with some fun new shapes? 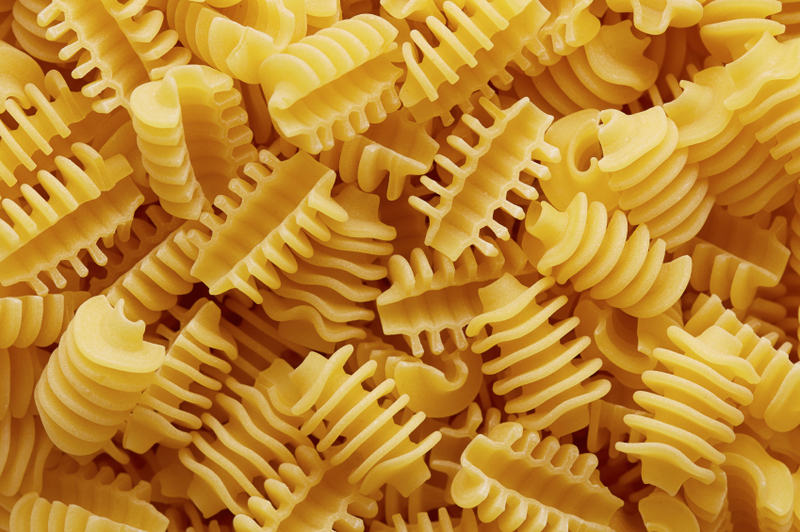 At first glance, twisted pieces of strozzapreti—which means "priests choker" or "priests strangler" in Italian, and is allegedly named for a gluttonous priest who ate them too quickly—might look like half-made bits of penne or other tube-shaped pasta that just couldn’t hold their shape. But it's meant to look non-uniform. First rolled out into wide sheets (think lasagna), the pasta is cut into big strips, which are then hand-rolled to get their unique appearance. 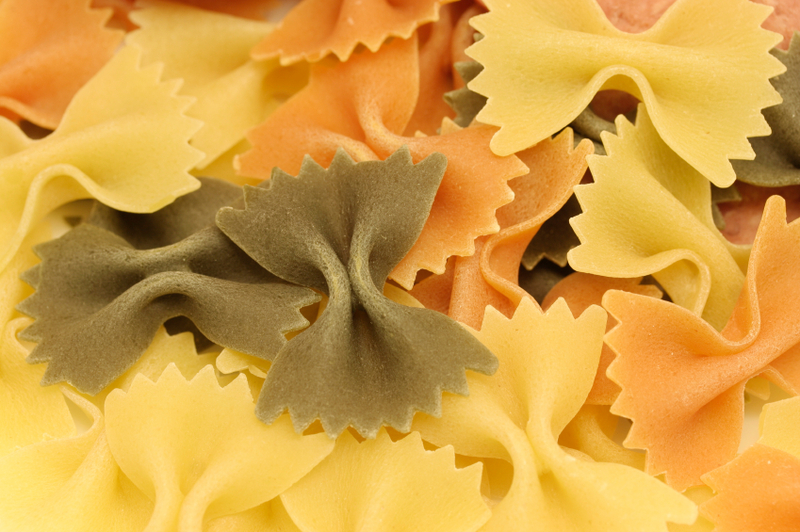 The ever-versatile “bow tie” pasta comes in three sizes to suit every appetite and meal, from the traditionally sized farfalle to a bigger version (farfalloni) and even a little type that works wonderfully in soups (farfalline). A thicker pasta, farfalle can hold up to chunkier sauces and bigger baked dishes while still retaining its bite. 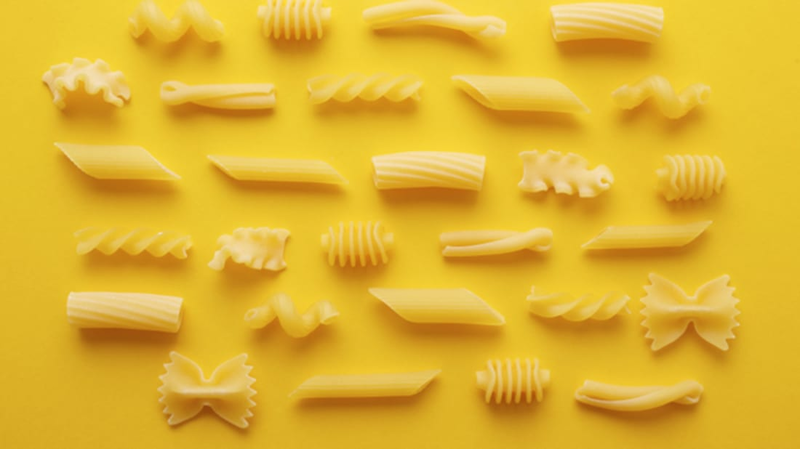 A perfect new pasta shape for fans of elbow macaroni, both pipe rigate and its tinier version, pipette rigate, offer the kind of curved shape that’s so appealing to bite into. With one slightly closed end, both of the rigates are aces at holding on to thicker sauces. Shaped like little ruffled radiators (hence that adorable name), radiatori are another good bet for thick sauces and hefty casseroles. Kids also love their fun shape, which legend has it was created by an industrial designer in the 1960s (though some trace the shape's creation to the time between the two World Wars). 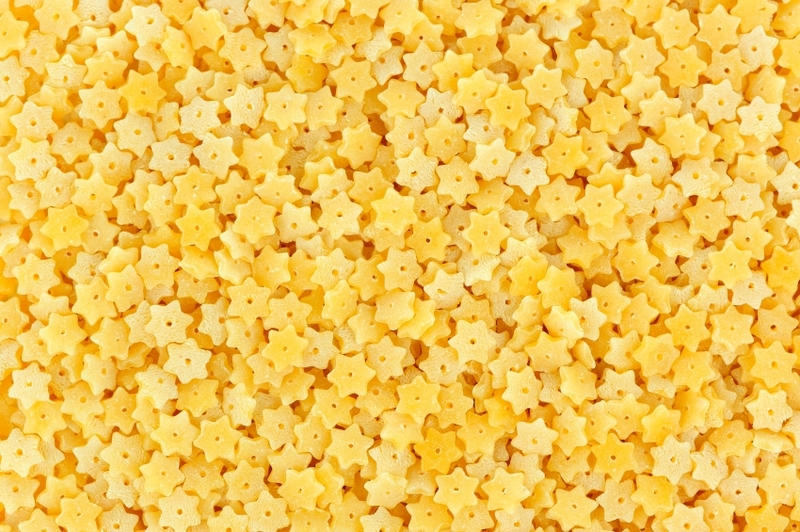 Star-shaped pasta is another surefire hit with kids, and stelle comes in two sizes: the larger stelle are fine on their own (and especially good with just a little butter and salt), while the teensy stelline are perpetual favorites in broth-based soups. 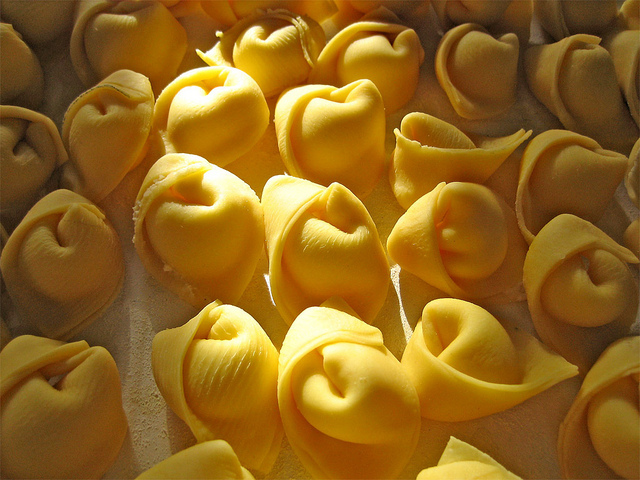 Shaped to look like little hats—in fact, they’re occasionally even called “alpine hats”—cappelletti are folded and then twisted to form their unique shape. Some versions are folded up entirely to contain meat filling, resembling small, triangle-shaped ravioli. 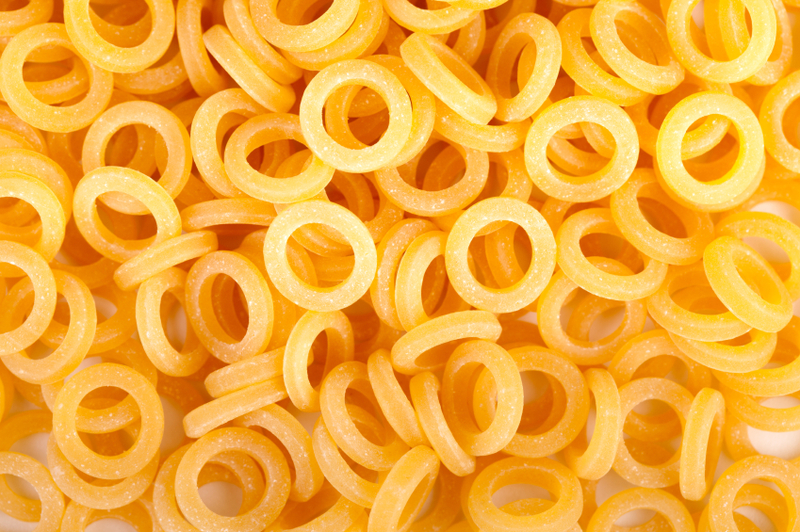 Another great pick for soups, ring-shaped anelli (and its smaller version, anellini) cook up quickly and hold their thin shape in broth. 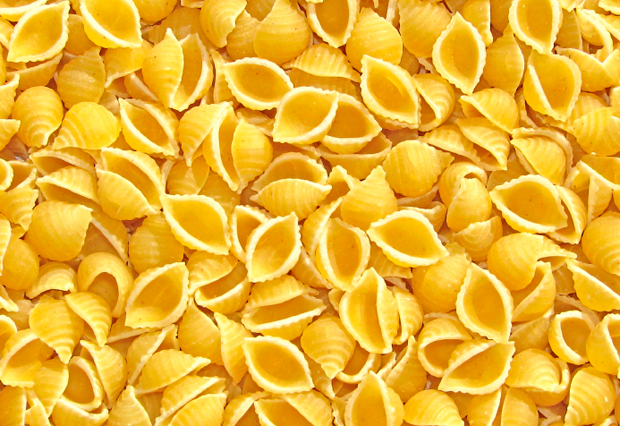 The bell-shaped pasta is quite a looker, what with its rolled shape and ruffled edges. Big enough to stand up to meaty and chunky sauces, it’s also a popular pick for cold pasta salads that include big bits of veggies and cheese that could crush a less sturdy shape. The name means "bellflower" in Italian. 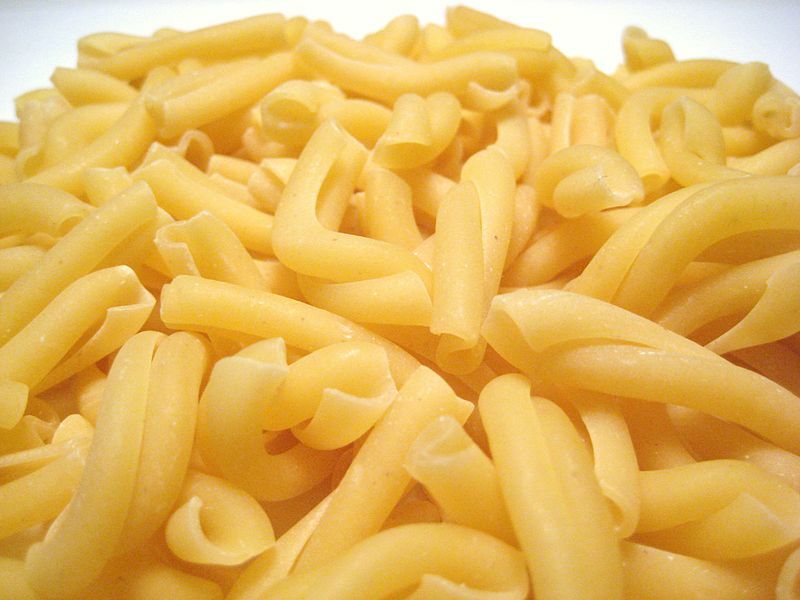 Consider cavatappi a kind of next level elbow macaroni. 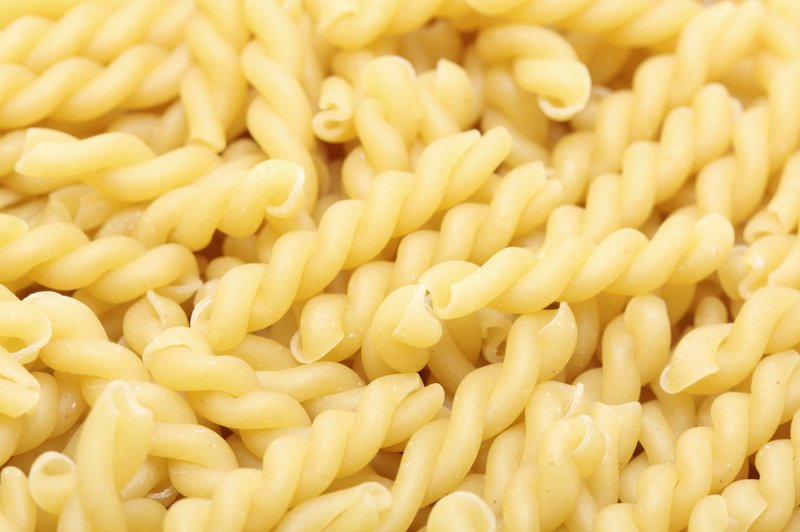 Like its cousin, cavatappi is tightly twisted into a pleasing shape, but unlike elbows, it’s got more than one kink in it. 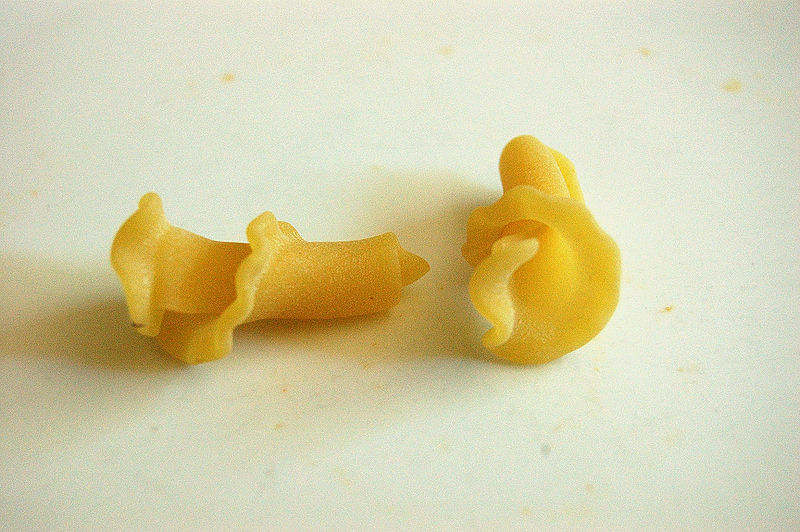 Imagine a piece of elbow macaroni that’s made up of two stuck-together pieces—that’s cavatappi. 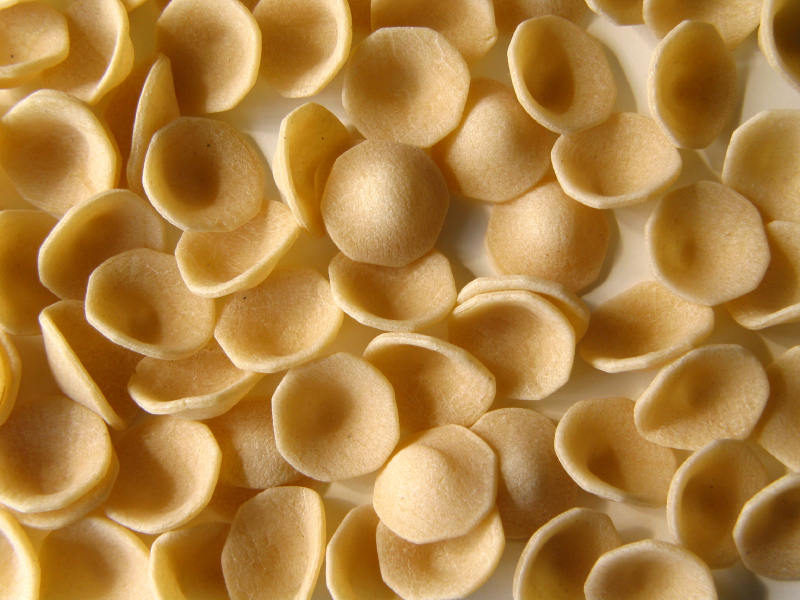 “Orecchiette” translates to “little ears,” and it’s not hard to see where this shape gets its moniker. Shaped like tiny bowls or teensy ears, this pasta is often used for thick sauces, which stick tightly to their gently concave middle. 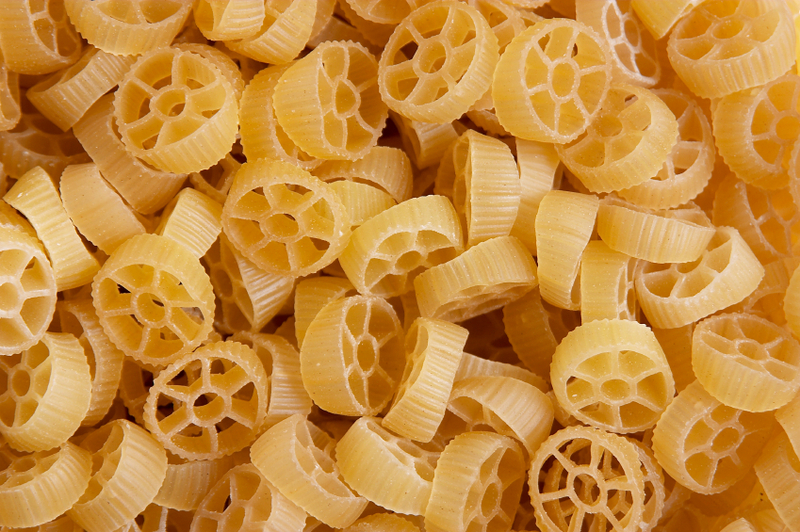 Another kid-pleaser, this wheel-shaped pasta is both fun to look at (they are wheels made out of pasta, what's better than that?) and a solid pick for pairing with just about anything. Its large gaps and ridged surface provide lots of places for sauce to stick, and all those nooks and crannies are wonderful for meat and veggies to wedge into. 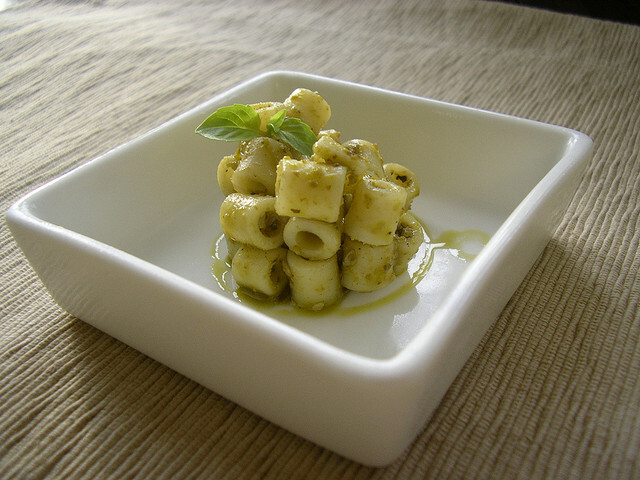 A close cousin of strozapretti, cavatelli is similarly cut from big sheets and then rolled into smaller pieces. 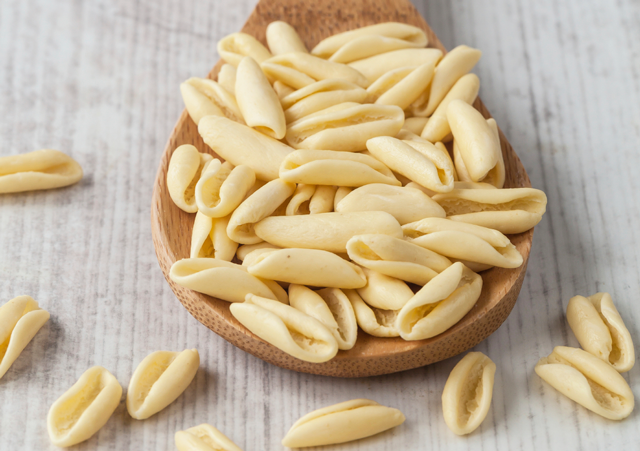 Cavatelli pieces are shorter than strozapretti bits, though, and thicker dough makes them resemble tiny hot dog buns. A shorter and smaller version of more familiar tube shapes like penne and rigatoni, ditalini is another good pick for soups. 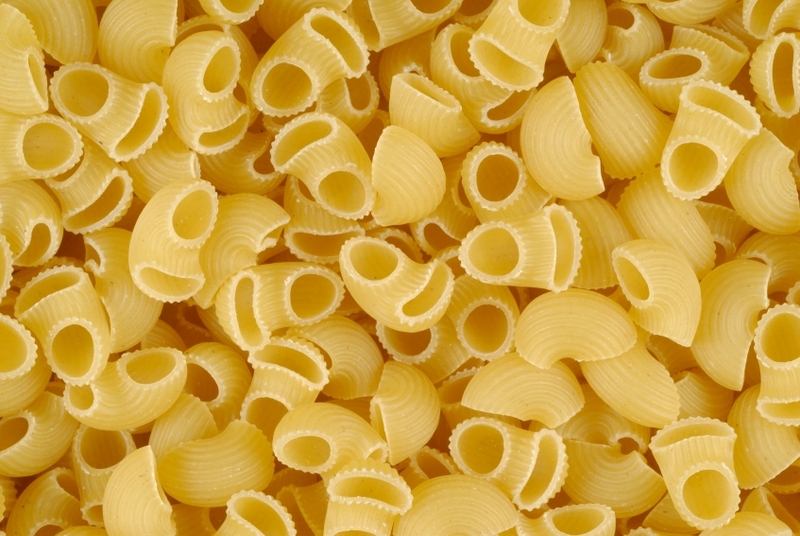 The shape is perpetually popular in Sicily, where the pasta is used in all kinds of dishes, including baked casseroles and pasta salads. The shell-shaped pasta has already proven to be a popular alternative for macaroni and cheese, and larger shapes are perfect for stuffing, but they are also a good bet for baked dishes. Their ridged surface holds on to sauce, and their deep middle easily holds on to thicker ingredients. 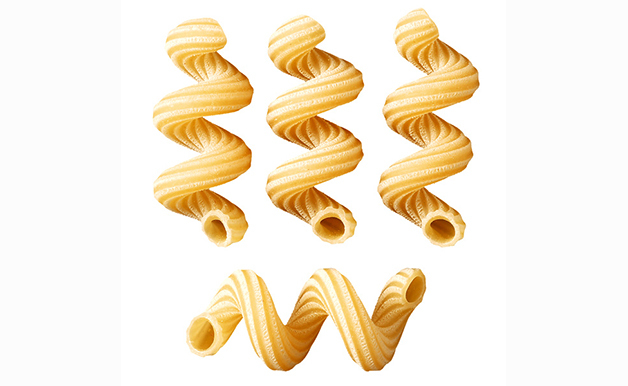 You might be more familiar with the twisted shape of fusilli or rotini, but the tightly twisted gemelli offer more body and density, perfect for biting into. Although gemelli might look like two strands of pasta twisted into one piece, they’re actually made by rolling a single strand together. The hefty shape is a good pick for pasta salads and cream-based sauces.